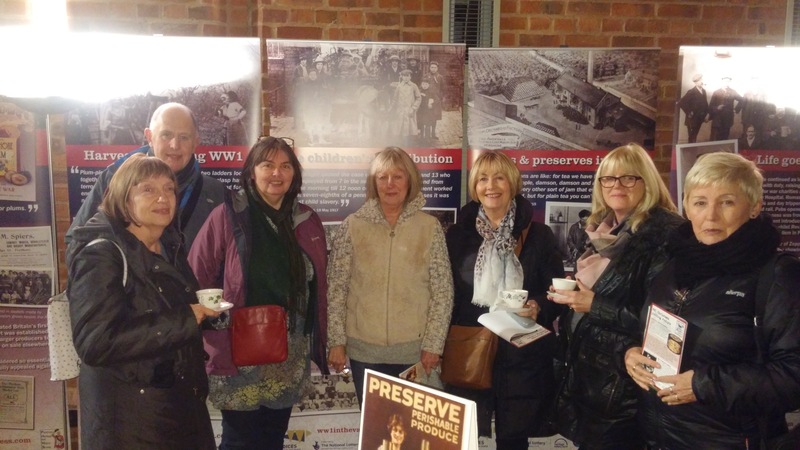 Several of the volunteers working on this FoBAH sponsored project ventured out of the city recently to the WW1 1916 FoodFest at Avoncroft Museum of Historic Buildings near Bromsgrove, Worcestershire. It was organised by Professor Maggie Andrews of Worcester University together with the ‘World War One in the Vale’ project. Alison, Robert and Liz all bravely entered into the spirit of the event and took along our efforts at a couple of WW1 recipes; trench cake and eggless sponges. None won the Bake-off but all received some positive comments on the feedback forms In addition to cake tasting there was also bread and jam. The Jam of course from fruit grown in the Vale of Evesham and bread made from WW1 recipe and milled from flour produced in the mill at Avoncroft. There was also a brief tour which included the seeing the mill. Not the iconic post-mill, which is currently out of action, but the Edwardian upright stone Lister Mill powered by electricity. Also on the torch-lit tour was the Toll-house with the baking oven which was used communally by villagers. The exhibition panels told much more about life on the Home Front in the villages of the Vale and we were particularly keen to read the panels relating to the contribution of children. Prof Maggie Andrews gave two very informative and entertaining presentations about the food situation in 1916 and the importance of food, particularly Christmas pudding, in the seasonal festivities that year. We learnt why there was a shortage of eggs; a combination of shortages of grain and the diversion of eggs from domestic consumption to those most in need of good nutrition including the growing numbers of soldiers in convalescent hospitals. 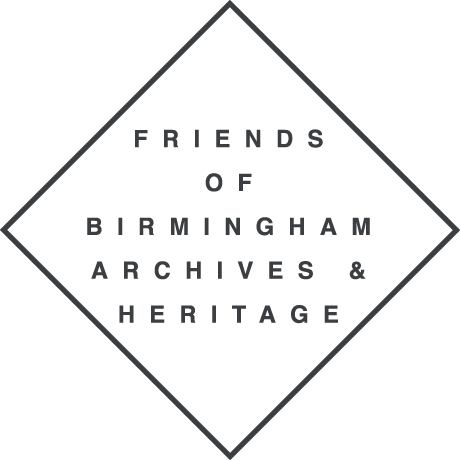 We are hoping that Maggie will come and give us a talk in Birmingham and we can discover more about the differences (if any) between urban and rural life for children in WW1.